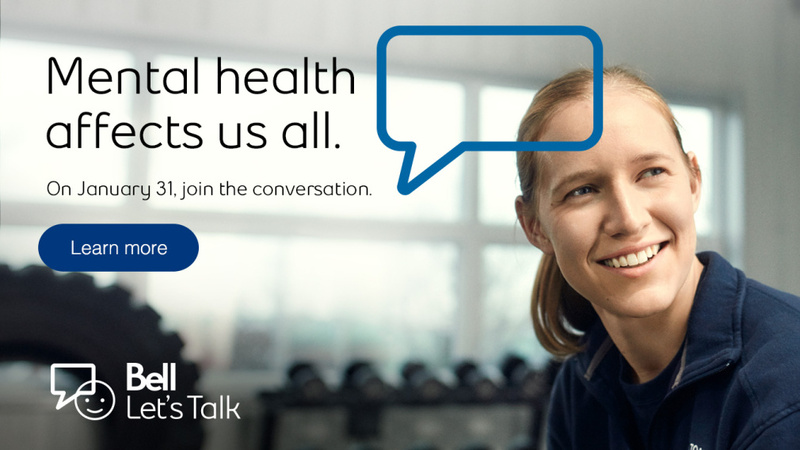 Today marks the 9th annual Bell Let’s Talk Day with many people, including politicians, well-known Canadians, and stars taking to social media to get the message out about mental health. 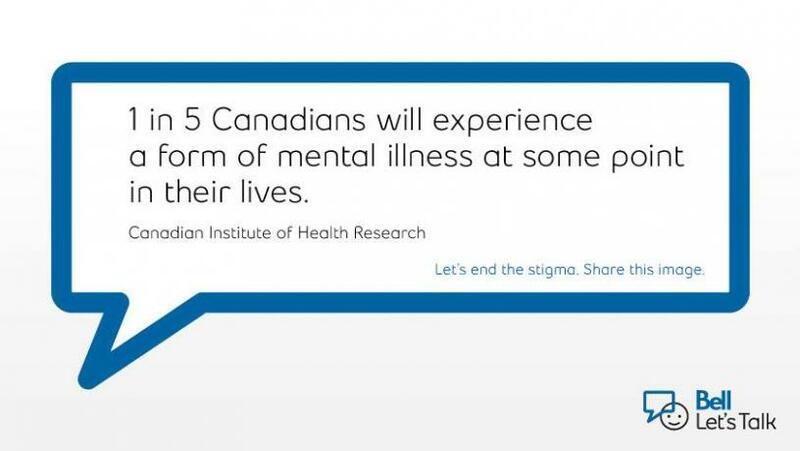 Statistics show that one in five Canadians will suffer from mental illness at some point in their lifetime. One of the biggest hurdles for anyone suffering from mental illness is overcoming shame (stigma) associated with revealing that you have an illness. It is the number one reason why two-thirds of those living with a mental illness don’t seek help. My contribution to Bell’s efforts is to talk about my own history with mental illness. One thing that most people (except close family and friends) don’t know about me is that I have struggled with my mental health since about the age of 23. Much of what I have experienced had to do with a great deal of trauma, including PTSD as a result of an extremely difficult experience of watching my older brother die from a car accident in front of me when I was 3½ years old. Other incidents throughout my early childhood and adolescent include a long history of being sexually abused by many men, and neglect as a result of being raised in a missionary single parent family that focused on traveling the world instead of putting down roots. Also, the missionary work and indoctrination from my mother led me to experience a great deal of brainwashing as a result of living within a small very cultlike and reclusive conservative religious centre where we were largely disconnected from the world around us. And, lastly, my parents set a bad example by living an unbalanced life because they focused solely on serving their religion at the expense of their own health, education, employment options, and our family’s real needs. Once my mental health went into decline during my early twenties, everybody around me tried to keep me going. But because of my lack of life skills, lack of insight or awareness of my own issues coupled with the limited support from health care systems, most of the hard work of transforming myself into a productive and well-adjusted member of society became my responsibility. It’s even harder if you have a family that doesn’t understand mental health illness, which is often the case for people who suffer from PTSD and various types of psychosis. One thing I do have to say is that judgmental attitudes (and stigma) toward those who suffer from severe mental illness is alive and well in our communities. Many people believed that I was never going to amount to anything in life. That I would simply never mature into a productive member of society or even be worth hanging around with as a friend because I was soo poor, so immature, unable to cope, judged on my bad behaviour and so not “with the program” of becoming successful and well-respected like my peers of the same age. Today I’m proud to say that I no longer feel held back by the judgments of others or the labels and diagnostic terms that doctors use. Health care professionals refer to me as a man who suffers from PTSD and psychosis, but deep in my heart, I know that I’m more than that. Labels often help them understand me, but rarely help me understand myself. The stigma that people have in relation to people like me is because they lack the awareness or understanding of what it is that many survivors of abuse and neglect go through. 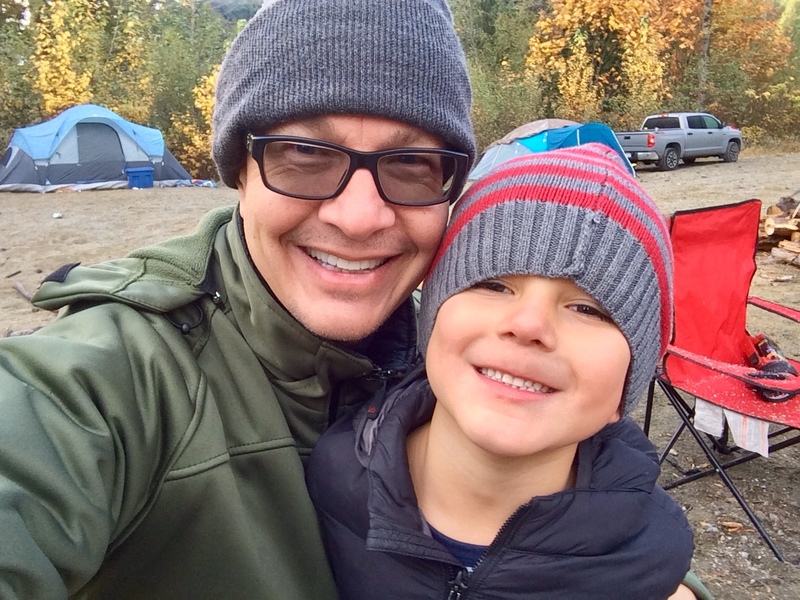 Fast forward to today, and I’m a 46-year-old man who has had a successful career, own my own home, enjoy raising my own kid along with my loving and caring wife of 20 years. What people don’t understand is that my current life is a testament to the transformative power that comes from facing adversity and difficult times with the faith that with the right support you can recover and maintain your mental and physical wellbeing. In fact, my transformation from being a groggy drugged-up mental health consumer, living on welfare to a competent and confident self-made man required me to transform my beliefs about myself. Now, after 23 long years of tremendous struggle of learning to live with my illness, I attend counselling weekly, take my medication as prescribed by my doctor and psychiatrist, exercise regularly, eat right, take time for myself and my family to enjoy life, focus on my home and friends, say what I do and do what I say…and try to be better every day. My journey to better mental health has led me to learn how to open up as a man, embracing the idea that the best way to get better is by letting others share in my struggles, share in my insights and give each other support as we live our lives together. Part of my path to better health has been to devote myself to the goal of helping others, hence my devotion and drive to work in social services. 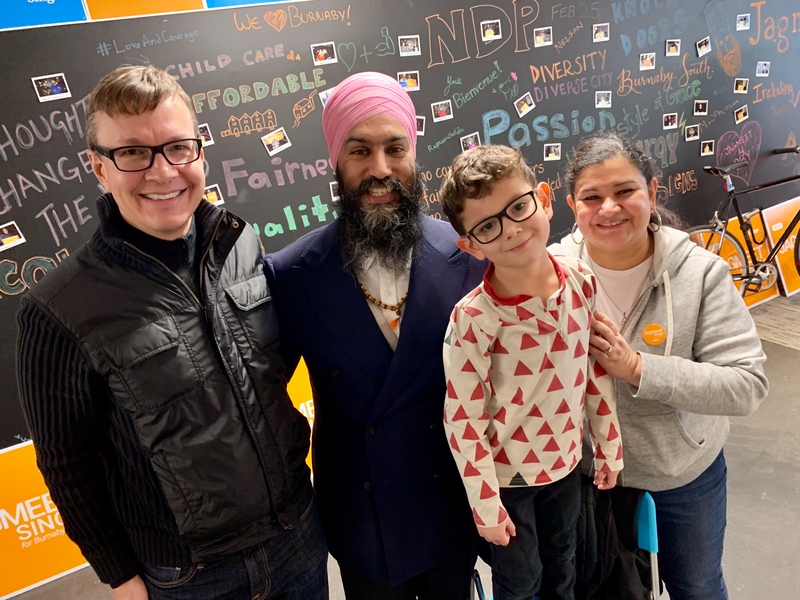 Through my hard work, I was able to help thousands of people who struggled with their own multiple issues that included mental, physical, emotional, situational, homelessness, addiction, educational and employment-related barriers. For over 17 years I worked at a non-profit here in Surrey, transforming the lives of in excess of 3000 client’s whose barriers were so severe that only our specialized program (which I helped design) was sufficiently robust enough to handle the difficult task of getting them back on their feet. This real-world experience in my career has had a tremendous impact on my own ability to foster my own mental and physical health. Part of my journey has therefore been trying to “walk the talk”, demonstrating to everyone that not only do I talk about living a “good life”, but also by example I demonstrate through every means necessary that “I’m doing my own work too”. For those of you who know of somebody who is struggling with mental illness or distress, or perhaps suffer from some type of issue yourself, I have one thing to say that has always helped me overcome the hardships and recover my health. It comes from my mentor and friend Dr. Michael Wilson (PhD), who designed the Phoenix Centre and most of its programming. Basically, it goes like this…”People do love and care about you (eg. meanings friends, neighbours, doctors, etc)…AND you have the right to be safe (eg. in a safe physical and emotional environment where you can choose to get better)…BUT you have to do your own work (eg. meaning you have to take responsibility and action to improve in order to get better!“. Those words hopefully can give you some comfort that there is light at the end of every tunnel, and that help is all around you if you’re willing to take responsibility to get better. I’ve leave you with a quote that came from my subconscious mind while struggling with my issues…basically healing yourself helps you to rediscover the keys to a good life and just remember that “it ain’t easy…but it ain’t hard either!”. Note: Every view of this video makes a difference. All you need to do is watch it and Bell will donate 5¢ to mental health initiatives. Share to help spread the word! Also, today Bell will donate $0.05 to Canadian mental health initiatives for every text message sent on Bell’s mobile network, for every tweet and retweet using hashtag #BellLetsTalk, and for every use of the Bell Let’s Talk Facebook frame or Snapchat filter.